I escaped from the bitter cold (and the flu) of New York City and flew down to a little town about an hour north of Cabo San Lucas, B.C.S Mexico called El Pescadero. 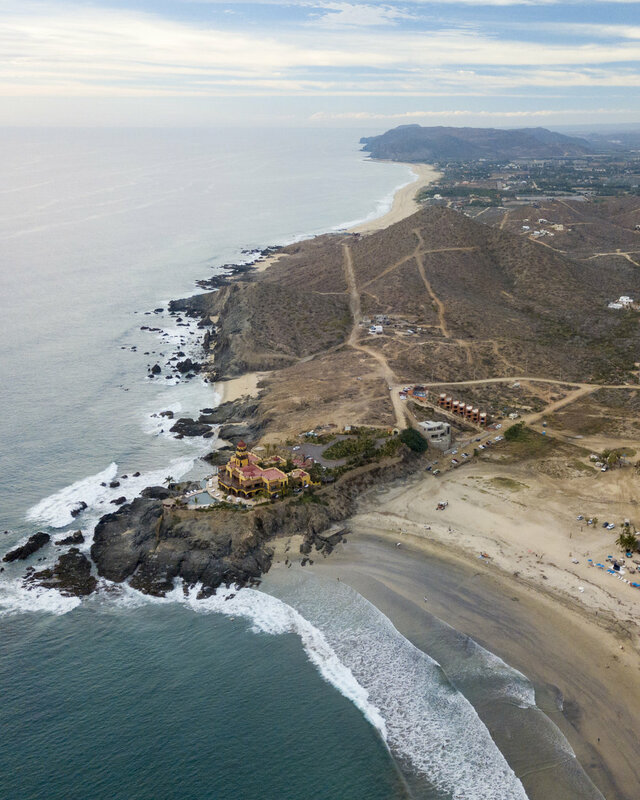 El Pescadero and the beautifully charming Todos Santos are becoming more and more popular as tourists mature and run as fast as they can from the dumpster fire (a compliment) that is Cabo. I spent two weeks in Baja staying in a Airbnb at Playa Cerritos, which is a one of the few beaches in the area that is good for both swimming and surfing. I surfed (not well), practiced yoga (better than surfing, but that's not saying much), and ate tacos (what I’m most skilled at). I was traveling alone, which if you feel comfortable doing, is an experience I can't recommend enough. You’re forced to open up and free to meet new people, go with the flow, be spontaneous in ways that just aren't possible when traveling with others. One evening, I was doing what I do best, eating fish/shrimp tacos and chatting up people at the bar. I ended up talking to the bartender Jose, telling him about my trip and how I was making a film while on vacation here about a local guy who flies Ultralight planes on San Perdrito Beach (that’s a another story for another time). Then Jose started telling me all about how he’s a skateboarder and that he runs a skate school for local kids. I was intrigued and suggested I come by the skate park and maybe film them skating. So the next day, post yoga, I ventured over in my economy sized Chevy to the other side of the highway where only locals live. I was a little sketched out but didn't feel unsafe. I pulled up, parked and walked through the chainlink gate. It was a skaters' paradise. There was a little two story house, next to a massive bowl, a camp ground and a street area with a fun box and some rails. I’ve never wished harder to be good at skateboarding. When school got out the local kids showed up and stared darting around the different features of the park. All boys between the ages of 6-16. No parents in sight. This was a skating Neverland and Jose was Perter Pan. I knew I had to make a piece about them so I moved some beach time around on my nonexistent schedule and told my neighbor she could borrow my surfboard. I spent the next few days hanging with Jose and the other skaters and filming them skate and goof around. They welcomed me into their crew, drove me up to the mountains, and cooked me food. I had so much fun. To say it was an awesome experience would be an understatement. Alas, “reality” called me back to work and life in NYC. So I packed up my stuff, said my goodbyes and headed back home.